In 2016, market conditions in most shipping sectors have been highly challenging. 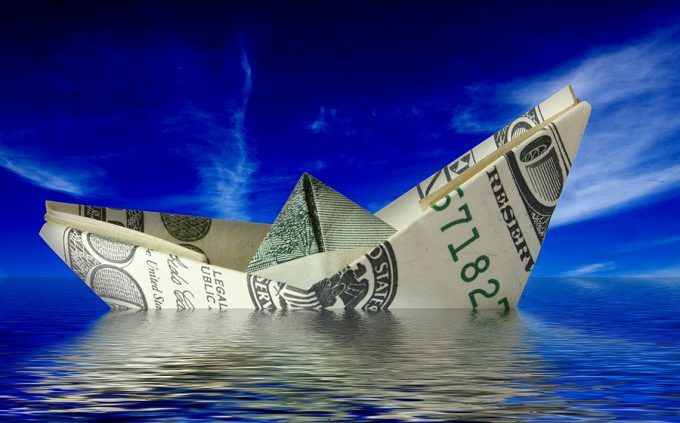 The ClarkSea Index, an average of earnings for the main commercial vessel types, reached a record monthly low in August. In the first ten months of 2016, the index dropped 37% y-o-y to average $9,129/day. Tanker market conditions weakened considerably in the first ten months of 2016 from very firm levels at the start of the year and in 2015. Average tanker spot earnings fell from $28,483/day in January 2016 to $9,922/day in August, but have risen since. While growth in oil trade has been healthy this year, partly supported by firm growth in Asian crude imports and products exports, tanker supply growth has accelerated. Fleet growth is expected to outpace demand growth in 2017, which may exert further pressure on the market. Meanwhile, conditions in the dry bulk market have remained depressed throughout much of 2016 as existing vessel oversupply has been coupled with muted trade growth. While Chinese dry bulk imports have expanded firmly this year, iron ore and coal imports into other Asian nations and Europe have declined. Bulkcarrier spot earnings averaged $5,645/day in January-October 2016, close to typical operating costs. While earnings improved in November, they remain at historically low levels. In 2017, fleet growth is projected to slow, but the continued muted pace of dry bulk demand growth is likely to mean market conditions remain very challenging. The containership charter market remains at bottom of the cycle levels. Average containership charter market earnings fell 36% y-o-y in January-October 2016. Freight market conditions have also remained under pressure this year, but appear to have bottomed out in recent months. While box trade growth has improved this year, including more robust growth in intra-Asian volumes and a return to positive growth territory for Asia-Europe trade, this has not yet been sufficient to support an improvement in the charter market and further improvements in demand will remain key to any significant recovery. In the LPG sector, although trade growth has been robust, rapid fleet expansion has underpinned a deterioration in the market to bottom of the cycle levels this year, from historical highs in 2015. LNG carrier market conditions have also remained challenging, but may now have bottomed out. Elsewhere, offshore market conditions have remained under extreme stress following severe deterioration in late 2014 and throughout 2015, constituting the most difficult environment since the 1980s. However, there has been some positivity in the niche sectors. Ro-Ro and ferry market conditions have been firm this year. Meanwhile, the cruise sector has been a bright spot, with continued robust expansion and record levels of investment. In fact, in the first ten months of the year, cruise newbuilding orders accounted for 51% of all newbuild orders placed in contract value terms. Overall, sentiment in the shipping markets remains weak and comparable to that at the time of the global economic downturn. Market conditions are depressed across many key sectors, exerting severe financial pressure on owners and operators, with surplus capacity and subdued demand growth remaining key themes. Overall global seaborne trade is projected to expand by 2.5% in 2016 to 11.1 billion tonnes, a little faster than in 2015 but below the 3.8% per annum trend of 2011-14. Ordering of newbuilds has been extremely limited in 2016, with less than 400 orders placed at shipyards across all sectors in the first ten months of the year compared to over 1,600 in 2015 and over 3,000 in 2013. Demolition of capacity has remained at an elevated level with 39.1 million dwt sold for recycling in the first of ten months of 2016, just above the total of 39.0 million dwt sold for scrap in full year 2015. Whilst these trends are illustrative of a supply-side response to current market conditions, further re-calibration of supply and improvements on the demand side appear necessary before a more balanced market can be achieved, and shipping market observers will be looking for further evidence of that in 2017.